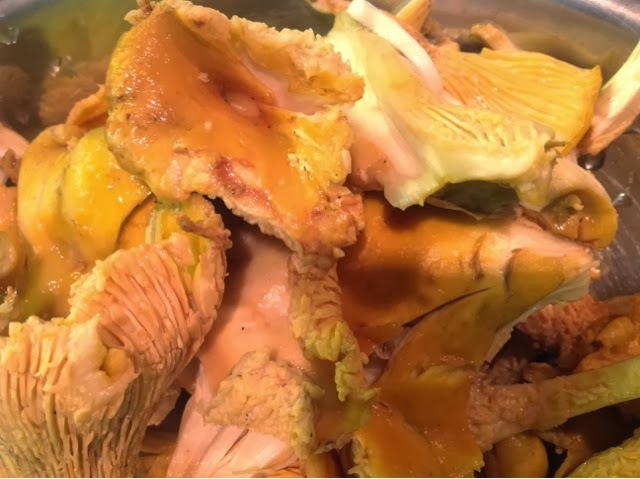 Chanterelle mushrooms are so delicious in every and any method of cooking! Roasted, in a soup, in a casserole, etc. 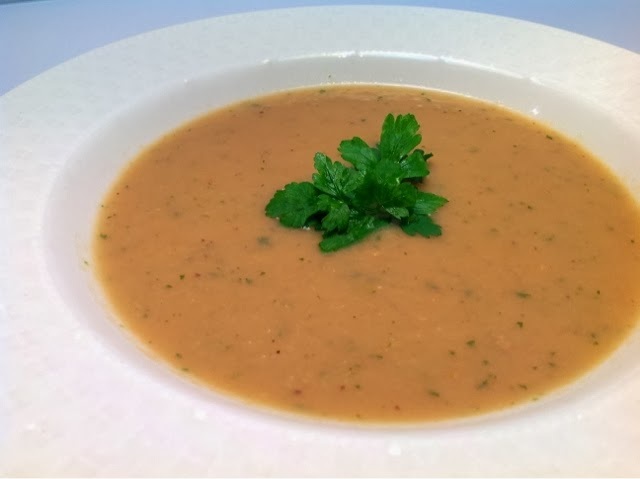 I am posting this very creamy vegan soup, which is figure friendly, light in calories but loaded in flavors and most importantly - easy to make! My kids licked their plates clean they liked it so much! In a heavy cast iron pot, add olive oil, onions, garlic, salt, pepper, after couple minutes add the mushrooms, on high heat, sauté for few minutes and add the rutabaga, water and chicken base. Let it cook for about 10-15 minutes. Add the wine, parsley and coconut water to balance the flavors. Cook for 15 more minutes, until the rutabaga is completely softened. Take a hand mixer and purée the soup.